Are you the type that doesn't always want to use your truck as a work truck? Do you occasionally carry ladders and other cargo, but don't always need a bulky rack? Well then the Backrack ladder rack is just what you need! With the ability to easily install into stake pocket holes and remove just as fast, this rack is exactly what you have been looking for. Constructed from durable 12 gauge steel and coated in a black powder-coat, each rear truck accessory is made to withstand daily use. If you want your truck to still be stylish, but be able to be converted into a work truck, then this ladder rack is for you! The 2" tube includes tie hooks to secure your cargo. You won't have to worry about it slipping and sliding around as you drive. With a Backrack ladder rack, you really cannot go wrong. Install from the comfort of your own home as no drilling is required for trucks with stake pocket holes. Let your stylish truck do the work for you! 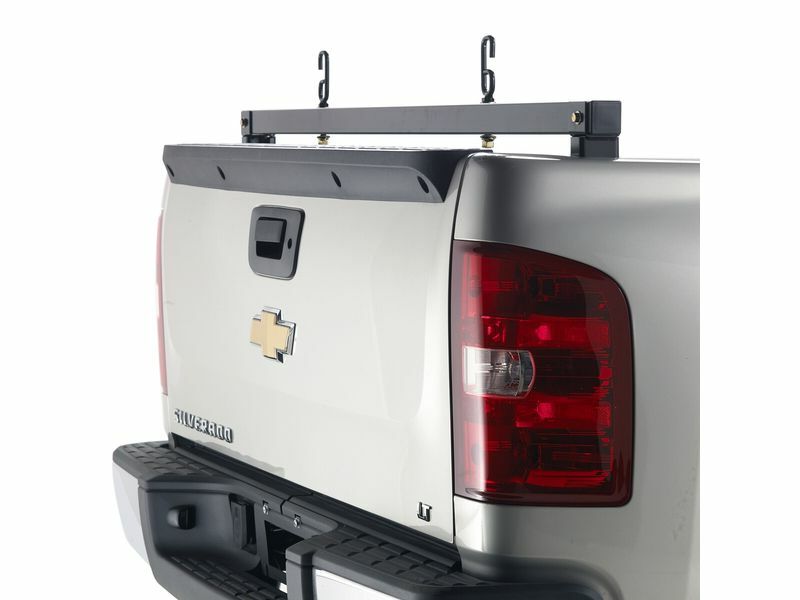 Get a Backrack ladder rack today! The Backrack ladder rack is backed by a limited lifetime structural warranty without a warranty on the finish. Install from the comfort of your own home! No drilling on most applications. Got questions? Give us a call at 877-216-5446.